" Thank you for an amazing trip. LOVED all accommodations ! Les Balcons was our favourite as Etienne is so charming and the dinners were amazing. Would have loved to have "table d'hôte dinners every night..... Our hosts at each place were super friendly and helpful. The special highlights for us was the crest of the Luberon, poppy fields, visiting the perched villages. The weather while we stayed near Mont Ventoux was very thundery, so we did not get to climb, but we drove to the top. Hiking Les Dentelles was lovely. We hope to be back and will recommend to our friends"
" Excellent bikes and the route was well planned and easy to follow. All the accommodation was excellent. The hosts at all destinations were helpful. A special thank you, please pass on to Hotel Le pre des Baux Maussane to the lady of the house for doing some much needed washing for us. We would never have experienced French hosptiality to this extent at all the destinations and it was an adventure to get off the beaten track, especially going through some of the smaller villages where we stopped for coffee or lunch. Trying the chocolate eclairs for morning tea in St Etienne du Gres was scrumptous. I do some biking but my partner although reasonalbly fit does not bike, this trip was challenging enough for both of us, loved the backroads and bike paths, not so keen on the main roads, and just hung on on the small amount of gravel road. A tour of France which cannot be experienced by car or staying in the major cities. We saw a side of French hospitality and scenery which many miss, by getting out into the countryside. " " it was fantastic. Our accommodation, rooms, facilities absolutely wonderful. Our hosts in each place truely made our stay more memorable, we could not fault the accommodation at all. Special mention to Etienne at Le Balcons du Luberon and Michael and Sabin at Les Terrasses du Luberon. And La Prevote in Sorgue was so, so lovely. All three offered something different, but we loved each of them and we’re not disappointed we chose that category of accommodation. Approaching the towns of Gordes and Saignon - very spectacular - was a real highlight. We would come back, if this was a trip we wanted to do again. " " Bernadette, the guide, was fabulous. Knowledgeable, fun and attentive to my abilities. She adapted trails as was needed. I don't think four stars is high enough! I really loved her spirit. I loved the bike rides and the routes : beautiful bike rides and hikes. Absolutely fabulous accommodation. LaPrevote--loved my room and the excellent food. Les Balcons : fabulous food and owner/chef was so attentive. Maison Bourgade : loved breakfast in the kitchen. The owner was SO helpful in helping me rearrange transportation (due to train strike) : a lovely hostess! " " Loved the paths you chose! So beautiful to bike through fields and smell all the lovely flowers and hear the birds. The highlights for us were : biking through orchards and countryside and smelling all the different smells and hearing all the birds. Stopping at a winery and cafes. Loved our hotels and the hosts. Biking with e bikes was amazing. I had an accident last year and required knee surgery and this was a celebration of my recovery. I did it!!!! We will recommend you : Absolutely!!! " " Spectacular scenery. That last walk up to Castellar and back down was grueling. I'm wondering if it isn't more than a 'moderate hike' for the climbing up and down. Pascal at Chapelle St Gervais was amazing. Her hospitality, kindness and information on Sospel was wonderful. So were the rooms and food. The scenery was jaw-dropping. I loved the diversity of the medieval towns, the solitude of hiking through the lower alps to the pretty town of Menton with its palm trees and shops." " It was excellent and made the trip and our hikes incredible. The day of biking out of Le isle sur Sorgues was incredible and beautiful but much more challenging than I appreciated. The hotel were all fantastic and made the trip so enjoyable. I'd like to give special thanks to Regine at Le Clos Violette. I also so appreciated Etienne's cooking and hospitality in Gordes. The property was incredible! All the restaurants were great. Etienne's table in Gordes was an incredible experience since there were only 4 of us at the table and we got a chance to converse and learn more about each other. It was mostly perfect." " Very pleasant guide, and planned a good course for us. The lunch was lovely in Pernes. Yes, we would recommend Walk Inn"
" The walks were absolutely wonderful! They were more challenging than we expected, but that wasn't a problem. What gorgeous countryside! I feel as if I saw a part of Provence I could never have seen on my own. We had a wonderful trip (except for much, much rain on the days we went from St. Remy to Les Baux and from Auberge des Sequins to Saignon!!!). The walks were gorgeous, the towns charming, and the hosts all very kind and helpful. We appreciated the restaurant recommendations in the book, too. I loved the hilltop towns--Gordes, Lacoste, Bonnieux, Goult, and Saignon. I loved walking along the Mur de Peste. Perhaps I would travel with Walk Inn again, although there's a lot more of the world to see first! I would definitely recommend Walk Inn Provence to friends!" " We really liked the equipment including the day pack boxes, paniers, and especially the bikes. Well matched to the types of roads we were on. We will reccomend you to friends." " Everything in the roadbook was accurate. It was amazing! We had such a wonderful time, we kept remarking how impressive the directions were!! Balcons du Luberon was an absolute highlight of the trip. We ended up having dinner there for our second night because the first one was so good. In Les Baux, the Lumieries show inside the old limestone quarry was amazing...the roadbook recommended it but other travelers were talking about it too. Totally unique experience. Gordes and Balcons du Luberon were incredible. Etienne was a wonderful, funny host and we loved having a communal dinner with the other guests. The view was amazing. The ride up to Les Baux was so awesome! We were not expecting such amazing views. St Remy de Provence was also beautiful...quiet and yet filled with things to do and see. We will contact you when we are ready to come back!! " 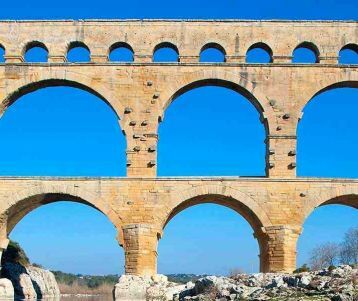 " The special highlights for us have been in the Alpilles mountains : les Baux de Provence & Mausanne & the lovely views on our walking ! It was a pleasure to work with you on this trip hiking in Provence." " The walks were outstanding, everything we could have wished for and more. The special highlights for us are the scenery, the markets, the walking and the wonderful food. All of the accommodations were good. The B & B in Gordes was perfect in every way--the views, the gardens and the delicious breakfasts. The Terrasses du Luberon was also outstanding, thanks in large part to Michael and Sabine, who are the best hosts we had on the trip. Greetings to the Walk Inn Provence team! And thank you for everything you did to create one of the most memorable trips imaginable. All 8 of us had a wonderful experience and I would recommend your company without reservation to anyone. " 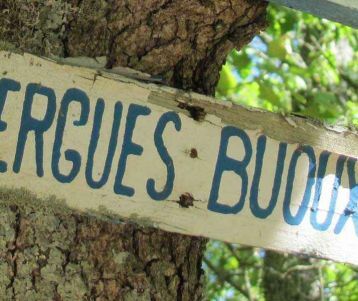 Walking Self- Guided > Hiking from the Mercantour Southern Alps to the French Riviera trail + Walking Porquerolles Island : beaches and pétanque !
" We really enjoy the variation and quality of the scenery and options en route. We really enjoy your trips through the small towns and villages. For us this is better than just being in the typical cities. As per our previous trip in Provence with you, your help with completing the details of the trip was very helpful. For us, on a "self guided" tour, the best part was knowing that Walk Inn had covered all the bases and was there to help us if we ran into any troubles or had questions. We have already been discussing possible future trips with you and we have passed you name on to others but so far no one has taken us up on it." le sommet du Mont Ventoux ! Vous aviez bien choisi vos partenaires : loin des foules touristiques .. Merci, pour ces très bonnes vacances en Provence !" " Fabulous scenery at every turn with much variety each day. We really enjoyed the hikes with Silva, and the zodiac ride. He was so genuine, helpful and willing to share much about his life and culture. Gorgeous scenery and fabulous hikes/rides ! " " I first want to thank you both for your professionalism and patience during the process of finding the right tour for the 6 Chag's. Accommodations: We loved Clos Violette,Mas de la Beaume very, very much. Both were charming and authentic. Everyone has to be encouraged to make the Sunday market in Isle : missing that wouldn't have made Sorgue so special. Both picnics were plenty of food and yummy!! Walking: The walks were spaced nicely and the descriptions were spot on. I think we all can highly recommend Walking Inn Provence. Everything was up to standard, organized and well done. It will be something we won't forget." " Rides were interesting and the climbs well-graded. Both accommodations were excellent. We were really pleased with the trip. We were on a very tight schedule and everything fitted in seamlessly. The rides were all really interesting and covered the area well. The distances covered each day were just right and provided the right level of challenge for us. The pre-trip organisation was great with all my queries being answered very quickly and the pre-trip pack arriving in plenty of time for our departure. Would definitely recommend Walk Inn and use it again!" " Accommodation was all just lovely ... The Mont Ventoux arrangements worked perfectly and we had the best possible day for a summit. We were delighted by how beautiful the scenery was - expected it to be all about the climb (only). The real joy was in the quiet roads you planned (that I wouldn't have found on my own) and the very smooth arrangements for the bikes and hotels. Awesome trip !" " Avignon was beautiful in October. The hike to Les Beaux was beautiful and fun. The cooking class was great. I would recommend Walk Inn"
" In general my two favorite days were the loop rides, the one out of St Remy and the one out of Oppede Le Vieux. Lovely side roads, beautiful towns. The highlights of the trip were for us : the side roads away from cars, the beautiful sites, loved biking up to the medieval hillside towns. In general it was a really lovely bike ride/experience. The bikes were generally great. Also was fascinated by the synagogue/Jewish museum in Cavaillon. Sure, I'd recommend you all! " " We enjoyed the walk especially being in the forests and nature and would highly recommend to other nature lovers. We would like to thank you for organising our trip ! " " The trip was all really well prepared, very detailed and thorough. Good of you to include history and other information as well as restaurant suggestions etc. The inns were great, as they provided the opportunity to meet the inn keepers and the guests. And the hikes were beautiful - a great way to see Provence. Again, we were very pleased and impressed with every aspect of the trip — from the back and forth planning with Nadia, who was extraordinarily responsive and patient, the great choices in inns and restaurants and, of course, the wonderful hikes that were, in general, very easy to follow. We also thought the taxi services were gracious and prompt. After the first day, we knew we were in good hands. Every day went without a hitch. Thank you!! We were very impressed and will recommend you highly!" " Seeing an area we had not seen. It was totally different from all the places we had visited in Provence in our previous three week trip. Hotel Gounod was very special in all ways and a true treat. Les Baux and also the illumination were both wonderful. The hike to Les Baux was our favorite hike of the trip. As I mentioned above, we have loved your two trips we've done with you. We tell everyone about the Luberon Medieval Villages hike and will be sending more people. " " Wow! We have just completed our cycling trip and we absolutely loved every second. Thank you for your outstanding organisation: everything worked according to plan from the bikes, to our luggage, to the hotels and the restaurants. The highlights for us were: the Hotel in Saint Remy and in Avignon. The quality of the bikes - and all the equipment was so impressive. The towns and villages we passed through were quaint, picturesque and everything you promised it would be! We also loved your directions and recommendations of where to go and what to see. We visited the hammam spa in Arles which we loved. We would highly recommend this trip to everyone and will definitely post on trip advisor." " Really a very nice trip. Everything was as advertised. The hotels were simple, but well run and the staff was always very friendly and accommodating. Meals were very good. The Chappelle of Notre Dame des Fontaines in La Brigue is worth the visit. The walk from La Brigue to Tende was spectacular. Wildlife - goats, pheasants. Wild blackberries were abundant.The first view of the sea, before ascending Mont Ours, and the views of St. Agnes on the walk to Gorbio, were all beautiful.The staff at St. Yves are particularly friendly. We would recommend the trip to anyone who is considering some independent walking in this region." " Each walk was great and it seemed to get better each day. Yes ! I would highly recommend Walk Inn "
" Throughout our trip, the proprietors were accommodating with any requests that we had and they had secure storage for the bicycles. We also enjoyed the fact that two of the properties had bathtubs for soaking after long rides. The bikes were good mechanical condition with more than anticipated storage or carrying capacity. Overall, a memorable trip, made much more pleasant by the many attention to details provided by WalkInn, allowing us to focus on the cycling and sightseeing. We would certainly recommend Walk Inn to friends"
" We had a wonderful day with Charlie. Great ride great lunch. Memorable day. Very nice man great conversations. The ride location was quiet, just the right intensity, with a great lunch: excellent restaurant. Again a wonderful experience. I Will recommend Walk Inn to friends and maybe return to France and try again"
" The highlight for us have been : St Remy and the Van Gogh experience, ride 1 was lovely, sitting in St Remy squares, stumbling across the festival at Eygaliere, and the hike to les Baux. A really lovely trip : highly recommended"
" Charlie was great and got on well with everyone. The ride was awesome. Beautiful scenery. Nadia was awesome with the communication by email from when I first found your company on line. She is the reason for coming on your wonderful tour, thank you!" " I just would like to thank you and the whole team for a wonderful time. The tour was great and all the accommodations were lovely. We really enjoyed the time and for sure it was not the last time we visited the provence. Once again, thank you very much for this experience." " We absolutely loved our trip - from arriving in the charming, lively town of Isle to exploring little side lanes and routes along the valleys to Bonnieux. Every town was a gem and the climb up to the villes perchées worth it. We loved stopping at each destination to stroll around the beautiful streets and squares. Evenings were a perfect time to walk and relax and then eat fabulous food at each restaurant we visited. Thank you for all your help - we loved every minute! I would most definitely recommend Walk Inn to our friends"
" The highlghts of our trip have been Gordes and staying at les Balcons du Luberon. We absolutely LOVED Les Balcons du Luberon and were sad to leave. I would love to return there and to Gordes. Great cycling experience! The heat wave made the cycling difficult and especially some of the big hills quite challenging, but still very much enjoyed exploring the region by cycling." " A fantastic trip! Everything was so simple, well planned and accommodating. We already did recommend you to our friends! " " Good bikes from the bike shop in Bonnieux and helpful service. We love recommendations of local restaurants. Cereste was not a particularly attractive town but Maison Emma and the one restaurant were superb and a highlight. We have done 3 with Walk Inn and always keen for new ones! Excellent organisation and personal attention - thanks"
" Olivier - our guide - was excellent, patient and full of information! He was even kind enough to introduce us to some local pastries and the Cavaillon melon. Yummy! All the 3 guided day tours were great : walking in the Alpilles, cycling and walking in the Luberon. Loved the walks to Les Baux and the Abbaye de Senanque and Gordes and Roussillon. Bike riding through Isle Sur La Sorgue was lots of fun with beautiful scenery! Thank you for the flexibility of switching one of the days when the weather was poor. Would love to come back, and do one the hikes from town to town or even bike ride (though with an electric bike next time)." " Good choices on location. All hotels were good, some were excellent. Thanks ! We would definitely recommend Walk Inn : we already did :)"
" The highlights of our trip was : Cycling by the lavender fields, the fragrance from the lavender and other crops, the singing of the birds - heavenly! The Lavender Loop day was one of my favourites and a highlight from that day was seeing two bourries surrounded by lavender. We made a detour to be able to get some good photographs. After very hot days on the bike, we really enjoyed the swimming pools at the hotels. All of the hoteliers were very helpful and the owner of L'Escapade was particularly hospitable and welcoming. Les Sables d'Ocre was a lovely property and their breakfast was the best we had. Each hotelier took good care of our bikes and placed them in secure locations. You sent us some good additional information about restaurants and suggestions about timing for our lunch breaks, which was helpful. We are so grateful to Stuart for suggesting ebikes, despite my initial reluctance. I really don't think we could have done it without the ebikes as the week of our tour coincided with a heat wave - it was 36 degrees on our first day. Yes, I definitely would recommend Walk Inn. Everything went very well and the information I received ahead of time from Stuart was really helpful. Indeed, all of your staff were helpful and responsive. Thanks very much." "Each day had its highlights. Coming into the towns/villages interesting and reading about the history was great. Coming from a country where the oldest building is maybe 200 years old, experiencing buildings churches and walls building in the 1200 was amazing. All accommodations and restaurantswere exceptional. I would recommend the tour to friends." " Overall we loved the variety of the inns, especially the fact that each had a pool during our hot weather week in Provence. All of the owners were incredibly hospitable and helpful; the breakfasts were great. We absolutely loved the stay and food at Bastide de Voiulonne, which included the dinners: we had some special dietary needs which they addressed seamlessly. Starting each evening with wine and starter was gracious and welcoming. Nadia - our contact - was great, always available when we needed to speak, both before and during the trip. Connections all worked perfectly. The highlight our Luberon walks and the cycling Provence self guided part were : Avignonand The Pope's Palace, St Remy: the Van Gogh walk to the hospital, each of the older hillside towns, Les Baux de Provence "Carriere de Lumiere" multimedia caverns, the Lavender fields and factory outside Bonnieux Luberon, and our stay in the farmhouse Bastide de Voulonne in the heart of the Luberon. We would definitely travel with you again, and recommend your services without any hesitation. We are thinking that we need to get back to the area, and travel more south, to the coast. Definitely a future trip for us with you"
" The gorges de la nesque was especially beautiful. Marie at BB La Villa de Margot was utterly wonderful and sweet. Hotel les Remparts had a great restaurant. We were happy to eat there twice. Thanks. Your support was great. The bikes were great and we are definitely interested in coming back again in the future." " The highlights of our trip have been : Gordes, Les Balcons BB with the dinner prepared by Etiennnes, the BB Auberge des Seguins - unique & great spot. Discovering the wild plum and berry trees along the path. Excellent directions! You responded so quickly and so cheerfully when we needed to call you. You also pick fabulous routes for us, great walking, limited time on roads, wonderful towns, loved all the exhibits in the towns. " " We had a wonderful time! Both inns were wonderful! Rejane at Le Clos Violette and Etienne at Les Balcons were so gracious, friendly and welcoming and the accommodations were outstanding. Breakfasts were amazing and Etienne's dinner was merveilleux! " " All hosts were excellent and we enjoyed all the breakfasts, particularly at Jardin d'Ivana where Ivan and Nadine shared breakfast with their guests. Great to have a pool to enjoy after a day of cycling. The travel kit was very comprehensive. The direction guide was brilliant and we loved the set up with the clear plastic wallet on front of the bikes.The highlights for us were : the descent from Les Baux on day 2, climbing up to the beautiful historic villages (we loved them all! ), lunch at Restaurant David in Rousillon and cycling through the fragrant lavender fields on day 5. The bikes were also very good, and handled very well particularly up hills"
" Hotel and service excellent, many thanks. After a long day of riding coming to hotel pools was a real treat. Thank you so much for making this adventure my dream come true." Have a look at the TRIP ADVISOR feed back ! "Our Walk Inn guide - David - provided my wife and I a spectacular day biking through the countryside and smaller towns. He was very knowledgeable of local history and repeatedly pointed out items of interest. As he recognized we were strong bike riders, he adjusted our itinerary accordingly....we would highly recommend." "The Nesque Gorge bike ride was beautiful and within everyone's capabilities. Avignon was enjoyed by all. Generally cycling through the countryside of Provence on quiet, good quality roads and having picnic lunches. Nadia and others at Walk Inn were very responsive to our requests for information, choice of routes, hotels, bikes, taxis - and alternate plans when Junith broke her wrist a few weeks before the trip. The trip was very well organized, hotel bookings went as planned and all the taxi bag transfer was on schedule. Walk Inn knows the good service providers and the area very well. We would travel with Walk Inn again and certainly recommend you to friends." "We really enjoyed the cycling and found your trip to be well thought out. The information in the road book was full and complete and we also liked the extra information given about each location. The hotels were all of a good standard and very comfortable. The restaurants were also good." “Anne Charlotte - our guide - was the perfect guide for us. Her knowledge of native flowers, herbs was exceptional and we thoroughly enjoyed her company over the 7 days. Her professionalism was second to none. Loved the picnics in such amazing settings. Just loved the different settings for each stay. Staff very helpful and welcoming. Auberge des Seguins absolutely delightful.The scenery - left me speechless !" "We really enjoyed the itineraries and it was very useful to have places of interest written up on the directions. The Fleur de Thym was outstandingly good. The village of Maussane was our favourite. We enjoyed the quieter lanes and cycling by the river, and visiting all the villages. The bicycles were very good and we had no problems whatsoever with them. The gears were excellent. We thought the organisation and directions were excellent. We liked the feeling that we were travelling independently, without any unnecessary interaction with the office." "Absolutely fantastic itinerary, the best walking trip I've ever done. Beautiful scenery, fabulous food and perfect distances. We spent the whole week exclaiming how wonderful Walk Inn are and how well-planned the entire trip was, right down to the punctual taxi drivers and friendly hotel staff. Can't wait to do the next one !! I loved the first walk around St Rémy with spectacular view out over the cliffs and also the walk around Gordes through the valley and via the Abbaye de Sénanque. We also loved the simplicity and lovely setting of the Auberge des Seguins (very satisfying to arrive and leave by foot! ).Just a fabulous holiday, thank you for a superb holiday, I can't wait to do the next one with Walk Inn !!!! "I thoroughly enjoyed the first day of riding. The second day had its challenges. I didn't mind the elevation as we just took our time. We found the accommodations perfect! I loved the charm of each place and the very warm reception we received. The restaurants were very nice. It was nice to experience local foods and french cooking. I loved the beauty of the rides. The bikes were excellent and Nadia was very quick to respond to any questions/concerns that I had. I would travel again with Walk Inn. The trip was seamless, very well done! Thank you for making this a trip of a lifetime. All of the places we went and the people we me added to the experience and I would (and have already!) recommend your company to others! :) "
"Stuart was a wonderful guide ! He worked with our private group to arrange day hikes taking into account our varying degrees of interest and levels, and was informative and supportive on the trail. The lodging was excellent, both in functionality and providing unique experiences. The food was amazing, including special arrangements for picnic lunches and guest chefs at dinner. And, Stuart’s company was a great treat. We all had a marvelous time, and we all plan to hike with Stuart again next year !" "Great Experience ! Having a qualified guide in a place like Provence makes all the difference in the world. Olivier our guide was excellent. He showed up exactly on time, with brand new bikes ready and a packed lunch- with a bottle of rosé. Olivier discussed the terrain, the history, and knew lots of little areas off the beaten path where we can get views and scenery away from everybody else. But he also knew when to step into the background and just let us enjoy our surroundings. We felt we truly had an experience from an insider's point of view. This was one of the highlights of our two week trip. Walk Inn Provence provided great communication while booking the trip with personal emails responding to specific questions. We felt very taken care of throughout the entire experience." "We had a lovely time in Provence. We want to thank you very much for the good planning, willing service, and excellent choices. As you tried to prepare us, travelling in November is indeed a different experience. Provence is lovely, with lovely special autumn colors, fresh air, a bit on the cold side. Very quiet and peaceful. Our hosts and taxi driver were great: warm, friendly and helpful. The booklets with the walking instructions and the maps were easy to follow. The Auberge des Seguin is stunning don't let people miss it because of internet-cellphone addiction. We had a great time. " " We loved our trip and the walking and our hotels. The absolute best BB was Wendy's B and B in Gordes. We loved it! It was beautiful and perfectly kept with the best breakfast and Wendy and her husband were lovely. We also loved Capelongue but the accommodations were not as nice as we had expected. We did however have wonderful meals at both restaurants there and the staff were so kind. We liked Le Clos Violette and the proprietor was wonderful as well. We loved all the restaurants especially Le Vivier in isle ! And also the Bastide de Capelongue was excellent ! The Bergerie restaurant there was also excellent. Casa Rosario in Gordes was great for pizza and pasta. Again, we had the best time !!! Walk Inn was great . Thank you for customizing it for us - we would love to do another one in the future. Maybe with our children! Thank you - we love Provence !!! " "We had a wonderful time in Provence. We want to thank you for your support and help in making this a great trip for us. We appreciated your quick responses to questions and concerns we had prior to the trip. We would recommend you to anyone planning a trip like this. We found the hosts/hostesses at each place we stayed to be outstanding! We could not have been more pleased with the accommodations and the people we met at each stop along our route. This trip provided many life long memories we will cherish forever. The route planning was excellent, complete and accurate. Thank you !" "I would like to say that all aspects of the tour exceeded expectations. The hotels were comfortable and the the food was excellent. Probably my favourite restaurant was at la bastide de voulonne - we were treated as very special family guests and the quality of the food reflected that. Our guide Stuart was wonderful. He is a wonderful combination of gentleman, teacher, mentor and coach. He is a caring man who went out of his way to ensure that each member of our party was well looked after, kept safe and enjoyed the experience. He was able to adapt the itinerary as we went along in order to deliver an experience that was uniquely suited to our group. The vineyard and basil farm experiences added to our immersion in the local culture. The challenge of Mt Ventoux was probably one of the highlights of the trip. I suspect that climb and the subsequent ride down through the Nesque Valley will feature highly in our retelling of our adventures in the years ahead. Any questions Jill and I had were answered promptly and to our satisfaction. We would heartily endorse and recommend your company and wish you every success in the years ahead. thank you again for an unforgettable experience." "We absolutely adored this trip. The landscape is breathtaking. The rides took us through vineyards, orchards and small medieval villages. Our guide, Stuart was informative, extremely friendly, fun and he made sure we all had a fantastic time. He's a great combination of leader, ambassador and friend. The choices of hotels, restaurants and coffee stops were all first rate. We dined at a vineyard and even got to pick grapes, which we crushed and tasted. We sat outside for an excellent home cooked meal with accompanying wine. On another occasion, ate at a basil farm and made some pesto to drizzle over a delicious soup. You work hard for the meals, but the biking was a great way to see this gorgeous area of France. You don't feel guilty eating or drinking at the end of the day. The Gorge ride was spectacular. The bikes were great and we were accompanied by David in a support van in case we needed a minor tuneup. Markets and picnics and swimming pools....We were pampered and catered to. Felt so special. Exceeded my dream of a biking holiday. So much fun. I'm ready to do it again! We have your team and especially Stuart to thank for a most wonderful trip." "The Walk Inn trip was everything I hoped it would be. The hikes were neither too difficult nor too easy, but just right in their length, surface, and degree of ascent/descent. My favorite was Fort de Buoux, Les Baux, the Glanum monuments and Cloitre St. Paul in St. Remy. The itineraries were well designed. Our hard-working guide Jean-Bernard was terrific. Knowledgeable (especially about the region’s flora), able to communicate to our mostly English-speaking group, and a terrific cook (excellent picnic lunches). Most importantly, I felt safe with him. I really enjoyed all my interactions with the staff of Walk Inn Provence. In thinking about next year’s walking vacation, I am seriously considering traveling with Walk Inn again and looking at the Corsica trip. All in all, I would highly recommend Walk Inn Provence to anyone looking for a close-up experience of the Provencale countryside. I came away with a real sense of pride and accomplishment, fresh eyes on the world, and despite the hours of walking, probably an extra pound or two (but have no regrets and would eat everything all over again)! Thank you to everyone who made this trip possible." " It was an excellent experience, we could have gone on for couple of days, maybe we could have extended to the Carmargue for an additional experience…next time! We would you recommend us to your friends : Yes, and yes!" "Overall, we had a great walking tour in Provence. The route, directions, and accommodations, were all very good. This includes the dinner reservations and the lunches. It was near perfect. The staff at the Bastide inn in Saignon, including the owner/chef, were outstanding. Also, having pools at all of the inns was very nice, given the hot days. Again, the trip was great. We will certainly continue to recommend you to our friends." 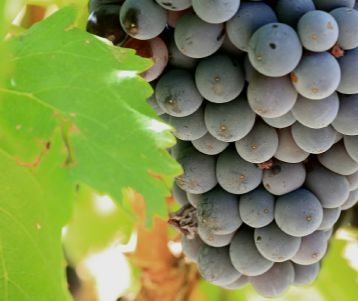 "Arriving early on the first day at Chateauneuf du Pape was a good introduction to reading the directions and also a great place to taste wines in the afternoon. At La Casa de Boulbon, we ate as part of the family which was enjoyable. The special HIGHLIGHTS for uw were the restaurants in Avignon, the delightful town of Boulbon and the great timing for our visit with the running of the bulls with the big Carmague white horses. Yes, we certainly would travel again with you and have already recommended you to various friends." " We two couples did enjoy our walking trip. The overnight accommodations were excellent choices; the two included dinners very well prepared and served and the wineries and village destinations were well chosen providing a diverse and quality experience. Best wishes to you and Walk Inn." "We had a great trip. You and your team did a great job organizing everything, and the walking maps were terrific! The highlights for us were the beautiful landscape, B&Bs were quite lovely and comfortable, and the hosts very helpful. We’re hoping to try another of your walks at some point in the future." "Just wanted to let you know we had a great experience with our self guided tour of Van Gogh’s Luberon ! Everything went smoothly with just a few questions on turns in the guide. Couldn’t believe how quiet the roads were and beautiful the surroundings. Everyone we came across was nice and the trip was a great way to celebrate our 25th anniversary. The cooking class was fun and wine tour very informative – what a super guide! Everything was timely and well organized – look forward to another trip before long. The service was excellent in dealing with you, Thanks !!" "Overall, we had a great adventure and would like to repeat it during a moderate hike in September next year. Etienne at Les Balcons in Gordes provided an outstanding meal, our favourite of the trip!! Laurent, our host at Domaine de Tilleuls, and his wife were the epitome of graceful owners which was much appreciated after our (bad) experience at Les Geraniums! Shopping in Les Baux was excellent for a tourist town as the sales were outstanding in September. We would have liked an extra day in Vaison La Romaine to explore the ruins and shop. The transfers went well: the drivers were first rate, friendly and knowledgeable! We all appreciated Nadia: her/your effort was most helpful! Yes, we would recommend Walk Inn! If you have a similar moderate hike, we would like to know about it. Thanks for everything"
"First I want to say that the accommodation in all 3 B&Bs was delightful. As well the evening meals in the restaurants were exceptional with the exception of the Loup restaurant in Gordes. It was fine but suffered in comparison to the outstanding meal we had in the L’Aritignal in the same village the night before. I want to repeat that the accommodation and the towns of Isle sur la Sorgue, Fontaine de Vaucluse, Gordes, Goult and Lacoste were delightful. We are glad for the opportunity to walk in Provence with your company. " " Walk Inn received the highest praise from David, Kathy & their 2 friends: everything was perfect. The Guide Magali was wonderful and they loved being with her. The quote was this was the best ever. Can't get better then that. Thank you for everything and we look forward to working with you again very soon. " 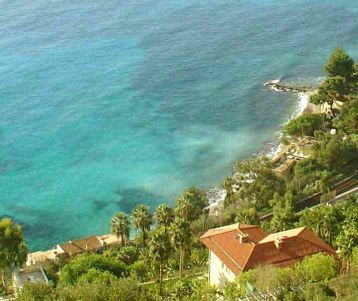 “ The Corsica guided walking tour was our second tour with Walk Inn Provence and it was even better than the first one! The guides are fantastic (merci Anne-Charlotte for the Provence tour and Stuart for the Corsica tour), the itineraries are really well thought out and cater perfectly to the abilities and desires of the participants. Corsica was, in a word, stunning. The walks afforded spectacular and varied scenery, from beautiful coastlines, breathtaking mountains to rambling rivers. Stuart took great care with the logistics, including the driving, and we could really relax and enjoy the experience. The hotels were excellent, the food - including mid walk picnics prepared by Stuart - was amazing, and we tasted regional specialties which made the tour even more interesting. We would recommend Walk Inn Provence and the Corsica tour to anyone who wants a relaxing, fun yet challenging experience which is a little off the beaten tourist track." "We LOVED our holiday in Corsica .We had previously had an excellent guided walking holiday in Provence with Walk Inn and love the mixture of lovely, authentic accommodation and walks through lesser known parts of Provence . Corsica exceeded all our expectations: a really wonderful holiday to a beautiful island! I cannot begin to tell you how stunning the walks were and all varied in the terrains from the coastal paths to Porto, a day on the GR20 ( we smashed it!) to meandering along flowing inland rivers and lunch in shepherds huts. The accommodation was all great especially in Corte where we had 3 nights. Ladies took the day off and had a spa day ! Stuart was our leader and I cannot fault his professionalism ( or his driving along some pretty tricky narrow Corsican roads ). He tailored the walks to our fitness levels and we never felt pushed or stressed. Stuart's picnic lunches were sensational ! I have no hesitation in highly recommending this company for those travellers who want an active walking holiday, with a touch of luxury"
"I had a wonderful time and it was an excellent beginning to my holiday. Anne Charlotte was a great guide. Very approachable, professional, knowledgable and well organised. She was a very skilled and safe driver. It was a small group of compatible and fun loving people. The tour felt very personal, like I was actually travelling with friends. This is the experience I was wanting. The food was terrific - both the selection of restaurants and experiences plus the picnics that Anne Charlotte catered for. We ate really well and got to appreciate why the French are so highly regarded when it comes to food. The accommodation was well located which meant that we could maximise the free time available. Overall, I would highly recommend this tour to others and have already done so …. with a big MERCI to Anne Charlotte for helping make this holiday so memorable." "We loved our "Walk Inn Provence” experience! We have the highest praise for the organization of the trip from A to Z, the reliability and clarity of the roadbooks as well as the quality of the accommodations. 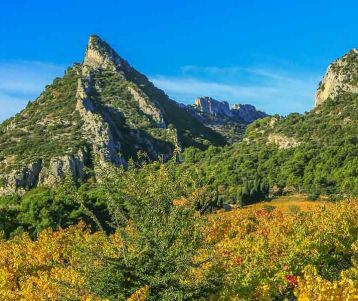 The sculpted white limestone outcroppings of the Alpilles are so spectacular and the views from the peaks so outstanding that we would definitely recommend the area to any avid hiker. Aside from the breathtaking beauty of the scenery, the Van Gogh walk had everything we were looking for: history, art, gastronomy and local culture. We particularly appreciated the historical, geographical and cultural information provided in the roadbook. Le Mas d’Aigret hotel was a perfect place to return to after the hike with its lovely view from the terrace outside our window and the restaurant space carved out of the rock. We have definitely recommended your organization to others. Thank you all again for organizing our amazing trip. 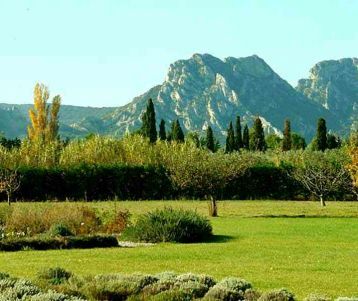 It was the absolute best way to discover and enjoy beautiful Provence!" "The whole trip was wonderful ! Seeing the town in the distance and watching as it grew closer, the outdoor café once we arrived, going to the market or the bakery for the next day, it was the perfect vacation." " Just a quick note to say thank you for the most fantastic trip you organized for us. It worked out better than we ever expected... The hotels were amazing, much better than last time, the weather was perfect and our children enjoyed every minute. Thank you for all your work for us...everything worked out 100%." 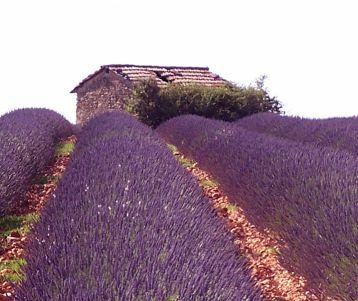 Walking guided > Lavender Tour: a limited-time walking holiday ! Walking Guided > Lavender tour : a limited-time walking holiday ! "My sister and I could not fault any part of the whole week it was so amazing. From the moment we were met on the first day to our last, we experienced the two best guides in France. Olivier and Magali are knowledgeable, friendly and took special care of me when I did a slight injury. They went above and beyond the call of duty several times. Our accommodation was excellent and our picnics were delicious. Each day's itinerary was memorable. Yes, we would most definitely book another tour with you"
“Everything about this trip was so thoughtfully planned and executed. The road book was well put together and easy to follow. Arles was our favorite town and the Hotel Nord Pinus was world class. “What a wonderful week walking through the Southern Alps to the French Riviera! The scenery is spectacular and the walk had its challenges with many ascents & descents but we made it and thoroughly enjoyed it! Hotels along the way were excellent with very friendly and helpful owners. Loved it, thanks WalkInn Provence!" “What a wonderful week walking through the Southern Alps to the French Riviera! The scenery is spectacular and the walk had its challenges with many ascents & descents but we made it and thoroughly enjoyed it! Hotels along the way were excellent with very friendly and helpful owners. Loved it, thanks WalkInn Provence! "We just returned from a fantastic 7 night custom-made tour that started in Vaison-la-Romaine and finished up in Avignon. Travelling as a big family group of 11 with wide variety of ages, from teenage through to more senior folk, could have been difficult. But our guide, Charlotte, alongside Nadia in the office, did an amazing job to ensure we ALL had the most fantastic time. Our guides were experienced, knowledgeable, well organised and importantly able to adapt plans as the trip progressed. This flexibility ensured that our holiday was both personal and relaxed. They were also super friendly and a lot of fun, which meant we were all rather sad to say goodbye! We would thoroughly recommend Walk Inn to anyone traveling to this part of France, they know what they are doing and do it really well." “Just completed a trip to France that included a 5-night guided hiking trip in Provence put together by “Walk Inn Provence”. This trip was exceptional ! We just had to show up, hike, eat and play. This was a family trip for 6 people, spanning 3 generations (ages 11 to 76) so setting up an itinerary that met everyone’s needs was no easy feat. Accommodations were decidedly upscale BBs: unique, immaculate, gracious. Every meal was memorable: breakfasts provided by the BBs, gourmet picnics prepared by our guide, unmatched local dining and wines. While food, wine and accommodations were great, our primary goal was to hike. And hike we did! Our guide was careful to match the hiking difficulty to our skills, providing support (both mental and physical) when we needed it. He was a professional in every way and the key to the success of the trip. Venues were spectacular. “We liked the excellent general quality of the bikes - they cycled beautifully. Overall impression of Provence and its cuisine was fantastic, great way to experience it. Some very beautiful places to visit and particularly, at this time of year, the profusion of wild flowers, roses and much more." “We have just finished our final day of bike ride and a gorgeous dinner in Arles. “We LOVED Elizabeth’s BB in Uzes. The place was beautiful and she couldn't do enough for us. The cooking class was wonderful . Our teacher, Franca, was fabulous. Very warm, friendly, fun and easy to be with for the day. The food we prepared was great ! I would highly recommend Franca to anyone that wants a cooking lesson. We loved the trip. Overall everything was fabulous. The BB and the hotel choices were great." "The highlights of this trip were Isle sur la Sorgue, Gordes, Lacoste : beautiful villages. Difference in landscapes. Wildflowers in fields. Wonderful B&B accommodation and hosts at La Prevote La Borie. Excellent restaurants." “I enjoyed the historical information along the walks (la mur de peste, Lacoste, etc.) It was nice to see the farmers harvesting the cherries as we walked by. We very much enjoyed our time in Gordes. The restaurants, sights and accommodation were all wonderful. We really enjoyed our stay at La Borie, the room and view were all beautiful and the breakfast was amazing. The hosts were also a perfect combination of friendly and respectful of our privacy. Sarah particularly enjoyed the walk to the Abbey de Senanque. Thank you for communicating Sarah's gluten free requirements. La Borie and La Canove went out of their way to ensure that she had enough gluten free items to eat. This was greatly appreciated before we started long days of walking. Thank you for the excellent service. Although we never spoke or saw you, we felt well taken care of and confident that you would be there to help us if needed"
“Once we were in the countryside and away from the main roads it was all special. 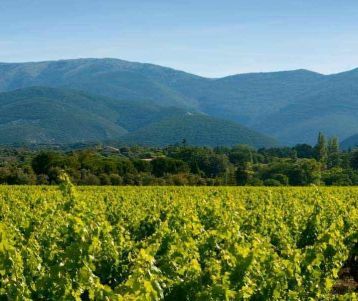 The ride to Chateauneuf Du Pape and the return to Tavel had sublime vistas and we laughed and laughed when we were riding over the large red stones that the vines love so much. The countryside when we left Tavel and rode to Uzes was very picturesque. Loved Uzes and our hosts at L'Hostellerie. St Quentin la Poterie with it's lovely pottery was another memorable day. Pont du Gard was outstanding even though there were so many people. We rode further upstream and swam then sat under the glorious pines with the Pont Du Gard at our backs, ate our picnic. We loved the whole trip and would love to do it for longer next time. Besides the great bikes,notes and maps, the choice of accommodation was terrific. They were centrally located, clean, good breakfasts and were quintessentially French, not sterile motel rooms. 2 set evening meals was the perfect number. I will recommend Walk Inn to my friends"
“The pool at Hotel des Bories was wonderful !!! Christine at Cote Lourmarin and Cathy at Maison Valvert were wonderful hosts and made our stay very memorable! We appreciate your suggestions for restaurants - they were all very good. We thank you for accommodating changes to our itinerary." "The highlights for us were: Isle sur La Sorgue and its market, the walks from Fontaine to Gordes, Gordes to Goult, Bonnieux to Auberge des Seguins, and Auberge to Saignon, the views from the top of Saignon. We did not do the walk from Goult to Bonnieux deciding to take a rest day instead. We loved all the accommodations and the pools at the end of a hot day hiking." "The highlights for us were: not knowing what we'd see ahead each day, not knowing the type of terrain each day, and not knowing where we were going to stay most of the days was the highlights because it was a treasure hunt with constant and wonderful surprises. Every day there were so many rewards for our hiking efforts and to have a pool at the end of an all day hike in the heat was one of the best rewards of all. We absolutely LOVED our entire hiking adventure and loved the wonderful places we stayed each night. We loved every place we stayed; could not have been any better!" “The Road Book was excellent. The inns that we stayed in were unique and special, especially le Clos Violette. We loved the restaurants and appreciated getting to try new places each night. La Prevote in l'Isle Sur la Sorgue was one of the best meals we have had anywhere in France or the United States ! The scenery we walked through was gorgeous, and I loved seeing Senanque Abbey. My partner and I absolutely LOVED everything about our walking trip through the Luberon! I would do it again in a second and will recommend WalkInn to all my friends. The helpfulness of the staff at every point was unparalleled and we were able simply to enjoy our vacation without having to think of anything else because every detail had already been thoughtfully taken care of. Just an A+ experience all around! Thank you!" “ The entire trip was a highlight : Everyday a new fantastic adventure! Wished we could have spent more time in each town. Day 2 Ventoux and the Gorges were a highlight. Day 4 the cooking class, could not have been better! Day 5 to Gorges, Roussillon and the fantastic stay in Maubec! Day 6, loved St. Remy ! Our trip could not have been better. Everything you committed to was delivered and more. We had one of our best trips ever, wish it could have been longer and we were still there. Thank you for everything, we hope to return to your region sooner then later. “I wanted to send you both a note to thank you for organizing our trip. Everything was perfectly organized. The hotels and B&Bs were all as advertised(which means they were really nice and the restaurants really excellent. Special highlights were the La Bastide de Gordes which was wonderful, the restaurant there was also excellent as was La Prevote. The treehouse room at La Maison Valvert was also fun as it was so unusual. “The overall route was very good and it was a pleasure that all the arrangements went smoothly ie all hotels were prepared, all taxis on time etc. People were helpful and friendly." "Coups de coeur du voyage : La visite du fort de Buoux et l'auberge des Seguins ! Vu le sérieux et la qualité des prestations, je recommande Walk Inn Provence sans aucune réserve." “I had a fantastic time in Provence - Loved every second and every person I met. 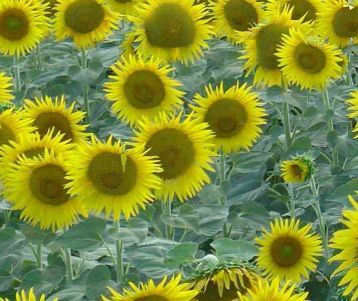 Walk Inn Provence has a highly efficient and capable team, that also creates bespoke tours to suit my requirements. 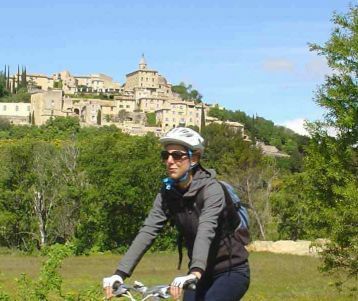 Before I knew it, a customised cycling, eating and cooking tour, a sample of all that Provence has to offer, had been arranged for me: seventeen days in the sun with countless villages to visit on the back of my trusty steed, the E-Bike. “Having never done a hiking tour, we appreciated the careful details regarding the hiking and accommodations. We were delighted to find this true as we traversed great trails, were delighted with interesting villages and enjoyed wonderful accommodations. We had selected a tour in which everyone raved about the great food and we discovered why. We ate very well and had some of the best meals we have ever eaten. “We had a WONDERFUL time! Every day was an adventure. The bikes were top quality! You thought of every detail to make our trip perfect. Walk Inn well plans the routes; we spent few times on busy roads which was great. “The whole trip was great. Hiking up the mountain in Gigondas was my favorite spot. Olivier (wine specialist) did a great job of explaining the growing of the grapes and the making of the wine. Pierre was a great guide. He really looked after us, and was a great companion." "The riding was just wonderful. We just loved all the sites. We particularly enjoyed some of the more country roads. Our time in Gordes and the accommodations at Forcalquier were particularly nice." "Thank you so much for the excellent last-minute organisation of our trip. We felt that a lot of care had gone into the choice of the cycle route, hotels and restaurants, and we much appreciated your pre-trip help. The roadbook was extremely helpful. All in all a happy and completely hassle-free holiday." “We really had a good time because of the most remote locations we visited. The highlights for us were the wild flowers and herbs, moths and butterflies in the mountains .. constantly amazing. And the scenery was spectacular. There is view point round the back of the church in Piene Haute which is incredible. A stunning view." "Thank you for a wonderful tour. The quality of the bicycles was superb. My husband and I enjoyed our Provence tour immensely. The highlights were the Pont du Gard, Arles Roman arena, flamingos in the Camargue, the Nesque Gorge, sunflower fields, fruit orchards, low traffic, Gordes, Roussillon, St. Remy, and of course Mont Ventoux, only to name a few. we would travel again with Walk Inn and would recommend it to friends. Merci beaucoup for a wonderful trip." "We enjoyed leaving tourists behind and the peaceful nature of having the trail largely to ourselves. Varied landscapes each day. Authentic village experiences. Luxury of having the details arranged for us." “The walk to the gorge was spectacular and the accommodation at Auberge des seguins quite unique. Also our accommodation at Goult La Canove was fantastic and we made very good use of the pool and guest kitchen. Thank you very much for organising taxis for me between villages when I was unwell." “Especially loved La Villa Noria and the warm welcome of Phillipe and Sylvie : It was fun, inclusive and very convivial. We managed to hike 7 hikes but still have 3 to go !! Penny at the Bastide de Voulonne was also charming, welcoming and helpful"
“Everything was great. La Prevote was very special - both the accommodation and the dinner and Mas de la Beaume also excellent. We had a great time." “This trip was amazing! Phillipe at Villa Noria was so informative. We love, love, love Gordes. The map was fantastic and was the envy of other travelers. Thank you."